Why Don't Mormons Pray to Mary? Mormons do not pray to Mary. Statues are art, and, as with any other form of art, might be found in an individual building or home, usually in a nativity setting. The second important point of Mormon doctrine is that we lived with God before we were born. God created our spirits and we lived with Him for a time before coming to earth. These two teachings are important because they explain why we don’t feel we need to pray to Mary in order to get God’s attention. It is sometimes explained that if we’re in a noisy room, we will notice, despite the din, the voice of someone we know and love. This is why some people pray to Mary-because when billions are praying, Jesus will hear His mother’s voice. However, Mormons believe God can hear their voice anyway, because we are very literally His children and He loves us and knows us. And what I like to do. He knows my name and where I live. Mormons believe this, and believe God knows them and loves them enough to recognize and notice their voices, and that He can hear and answer every prayer, no matter how many are coming through at any one time. This is a part of His divinity. Mormons pray to God through Jesus Christ. Jesus was given the role of Intercessor by God. When Jesus Christ offered the Intercessory Prayer, we saw how He was able to pray on our behalf to the Father. The Book of Mormon also foretells Mary. Both Lehi and his son Nephi, the first two Book of Mormon prophets, saw Mary in visions and knew she would be the mother of God’s only begotten Son. We know that Mary had lived a highly moral life in order to be allowed to carry out this great assignment. We can presume she was intelligent and her responses to her calling tell us she knew the scriptures well. Jesus came to earth as a baby, not a grown man. He did not begin with a full knowledge of who He was or a complete memory of His life prior to His birth. It would have been Mary’s role to train Him in the ways of life and to help Him become the type of person who could and would carry out His eternally significant mission. We can, therefore, presume she was a wise and capable parent, and that she never lost sight of her role in God’s plan for the earth. For these reasons, and because of the tremendous sacrifices she made and the suffering she endured as she witnessed the treatment and death of her firstborn Son, Mormons honor Mary. She is often used as an example of a woman of faith, sacrifice, and obedience. In lessons on motherhood, she is usually the first example offered. Mormons look to her to show them the way to live their own lives, but their relationship with God is a direct one. 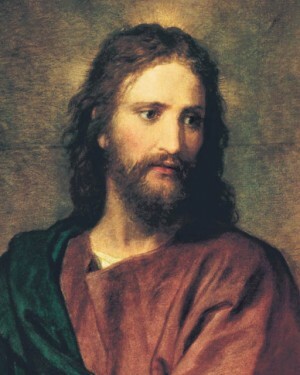 Mormons pray to God, through Jesus. They don’t feel the need to ask someone else to intervene on their behalf, because they believe God loves them enough to hear them. While they might ask friends to pray for them, this does not replace praying to God themselves. Being prayed for by others helps us to connect to one another, but even if only one person prayed for himself, that pray would be heard and answered. Some have asked if we have statues of Mary. Mormon chapels do not have artwork of any kind in the actual chapel where the service is held. The chapels are extremely simple and free of any decoration except for occasional flowers. However, the buildings-hallways, offices, and classrooms– do have paintings, and some have statues. The statues serve only as decoration and are not used in any way in the worship services. They serve only as teaching aids or reminders of important aspects of gospel teaching. Art plays an important part in Mormon life as a tool for teaching. Teachers are encouraged to use it to help emphasize aspects of the story or principle being taught, to hold attention, or to invoke important thoughts or feelings. Mormons do not pray to statues or make use of them as part of their services, however. They are simply decorations or teaching tools. Statues of Mary are most often shown in context with her mission on earth as Jesus’ mother.